In order to appease (as he hoped) the Percy family Henry IV granted them all those parts of southern Scotland that they could conquer. Despite advice from Northumberland that royal assistance was not needed he set out in the summer of 1403 to march to the borders with a small army to support their siege of Cocklaws Castle. On reaching the Midlands, Henry received news that the Percys were in revolt; after some initial hesitation he summoned the levies of several counties to his banner and force marched to Shrewsbury, arriving there just before the rebels. At Shrewsbury was Henry’s son the Prince of Wales, who was responsible for defending the English marches from Owain Glyndwr. The Prince, who was aged about 16, had until recently enjoyed the advice and support of Hotspur’s uncle, Thomas Percy, Earl of Worcester, a very experienced soldier who had served John of Gaunt and been steward of Richard II’s household. However, Worcester had deserted, taking with him more than half the Prince’s men. Unfortunately it does not appear how many men we are talking about – the state of royal finances was such that it was probably hundreds rather than thousands. Hotspur had come south to Chester with an advance guard of two hundred men, presumably mounted. These included the Scottish Earl of Douglas, captured at Homildon the previous year, but now an ally. At Chester he denounced Henry IV as “Henry of Lancaster” and proclaimed Richard II, whom he promised would appear at a rendezvous at Sandiway in a few days. This was sufficient to raise a considerable army in Cheshire itself. It is likely that other recruits came from Flint and other parts of North East Wales and from Shropshire. To these of course were added Worcester’s contribution. Northumberland remained in the North. Either he genuinely fell ill, or he was blocked by Ralph Neville, Earl of Westmorland, or he simply moved too slowly. Hotspur’s strategy is not clear. Glyndwr, with whom he was presumably in alliance, was many days march away in the south west of Wales. The most likely explanation is that he decided to seize Shrewsbury, which could then have served as a gateway to England for Welsh forces. There is also reason to believe that Hotspur expected reinforcement (that he did not receive) from various English peers. (The chronicler Hardyng reports that some years later Henry IV discovered a casket of letters sent by his nobles to Hotspur at this time. ) After the battle the Duke of York and others were accused of complicity, but absolved from blame by Henry himself. The men of Chester mustered at Sandiway as promised, but needless to say, Richard II did not join them. It’s a straight road from Sandiway, through Tarporley and Whitchurch to Shrewsbury. Arriving on the outskirts Hotspur realised that Henry IV had forestalled him. Hotspur chose a good defensive position about three miles north of the town. The ground sloped slightly upwards towards the north, meaning that the King’s men would have to advance uphill against some of the finest archers in England. There were also a number of small ponds, complicating offensive movement. A guesstimate of mine would be that Hotspur had around 5000 men and the King a few more, maybe 7000. By and large the Percy army would be of better quality – more “professional” because it recruited from areas noted for warriors. Many of the King’s men would be amateur county levies from relatively peaceful shires. Hotspur’s principal known commanders were his uncle, Worcester, and the Earl of Douglas. These were both experienced warriors, particularly Worcester. The important Cheshire knights, Vernon and Venables seem to have been next in rank. As far as men of rank were concerned, apart from himself Henry IV’s most experienced commander by far was the renegade Scot George Dunbar, the Scottish Earl of March, a personal enemy of Douglas. The Prince of Wales and the earls of Kent, Arundel, Stafford and Warwick were all inexperienced young men in their teens and early twenties. The Earl of Stafford was the husband of Henry’s cousin, Anne of Gloucester. Just prior to the battle he was created Constable of England (replacing Northumberland) and given command of the van. The battle opened with the traditional exchange of arrows, the shooting of the men of Cheshire being particularly devastating. Stafford was killed very early in the battle and the Prince was severely wounded in the face – though he continued to fight after treatment. Hotspur and Douglas led an attack on the royal standard. Their objective was simply to kill the King. Fighting around Henry was bitter, and his standard bearer, Sir Walter Blount, was killed. It is known that Henry himself was engaged personally in the fighting. Hotspur’s men thought that they were winning. A cry of “Henry Percy -King” rose from them. But then Hotspur was struck down – possibly by a stray arrow and the cry changed to “Henry Percy – dead”. The rebels routed off the field, pursued for miles by relentless royalists. One King’s side many knighthoods were given, and there were also grants of confiscated lands. Edmund Earl of Kent was apparently created a KG on the field, a distinction so unusual that it suggests some act of exceptional personal bravery. Henry IV added these words to Richard II’s legitimisation of his half-siblings in 1407, when he had four healthy sons and two daughters. So what was the Beaufort family situation in the year that their claim to the throne was disregarded? JOHN, MARQUIS OF DORSET AND SOMERSET was about 36, a married father of five. HENRY, later CARDINAL, was about 32 and had already taken holy orders, then being Bishop of Winchester. He was, therefore, incapable of having legitimate children. THOMAS, later DUKE OF EXETER, was about 30 and effectively childless – his wife and their only son may have already died, or the son may have been born later. JOAN was about 28 and married to the Earl of Westmorland (her second husband). It is, therefore, quite likely that the only Beauforts (by name) of future generations would be descended from Dorset, the eldest. Did Henry IV suspect, as the Statute of Merton suggests, that Dorset was Sir Hugh Swynford’s son and that later “Beauforts” would be descended only from Henry III, through the Marchioness? Was this his motivation? 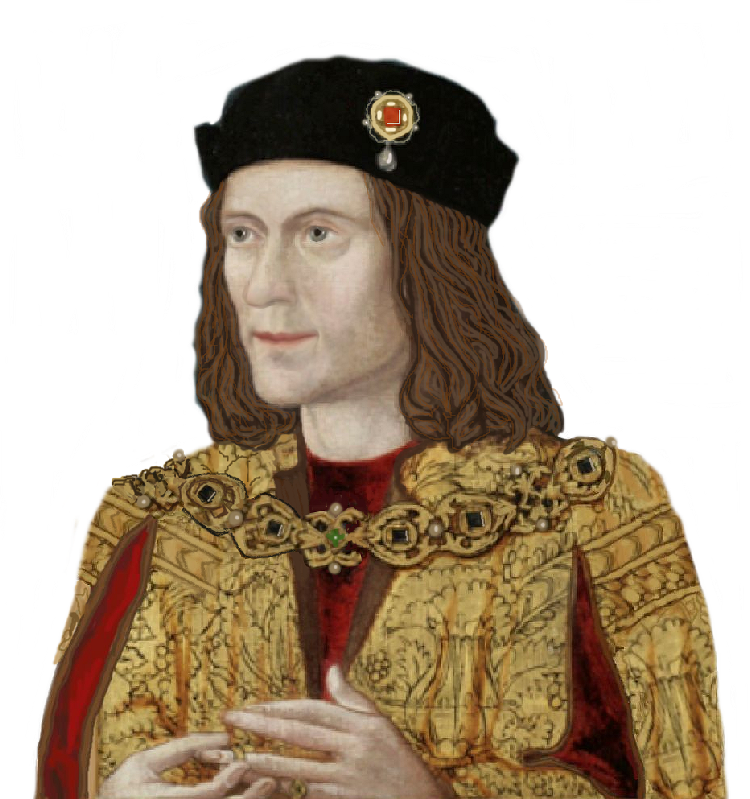 Whilst researching my biography of Richard, Duke of York I found myself drawn by a bitter feud that lasted for years and which in many ways was a kind of prequel to the Wars of the Roses. The more I learned about the acrimonious dispute between Cardinal Henry Beaufort and Humphrey, Duke of Gloucester the more it fascinated me and the more I began to see it as a pre-cursor to the troubles that followed. I found it almost impossible to tell Richard, Duke of York’s story without reference to the context provided by this relationship. It has been largely forgotten in the violent civil war that followed its shocking end but without the fall of Humphrey, Duke of Gloucester there may never have been a Wars of the Roses. Cardinal Henry Beaufort was born around 1375, the second son of John of Gaunt by his mistress (and later third wife) Katherine Swynford. His older brother was John Beaufort, Earl of Somerset, whose descendants would become the infamous Dukes of Somerset who would rise to fame in the fifteenth century. His younger brother was Thomas Beaufort, Duke of Exeter, a very capable soldier, and Joan Beaufort, his younger sister, married Ralph Neville, Earl of Westmoreland and became the matriarch of the Neville clan that rose to prominence as opponents of her brother’s Somerset descendants. Henry was half-brother to Henry IV, uncle to Henry V and great-uncle to Henry VI. As Bishop of Winchester he held the richest see in England and this made him invaluable to a Lancastrian crown perpetually short of money. Henry Beaufort acted as Chancellor to his half-brother before they fell out, returning to influence under his nephew Henry V, who was close to his uncle. In 1417 Beaufort was created a Cardinal and papal legate, only for his nephew to place pressure on him to give up the Cardinal’s hat. The king feared the encroachment of papal influence but needed to keep his uncle, and not least his money, close. Henry Beaufort (no doubt grudgingly) agreed but in 1426, shortly after the accession of the young Henry VI, he was once more appointed Cardinal. This apparently conflicting role as Papal representative and senior royal counsellor would attract criticism, most notably from Humphrey, Duke of Gloucester. Humphrey was born around 1391, the fourth and youngest son of the man who would become King Henry IV. Created Duke of Gloucester by his brother Henry V in 1414, Humphrey took part in several campaigns in France, most notably fighting at the Battle of Agincourt. On his brother’s death Humphrey served as Regent in England for his nephew, though his power was severely limited by the Royal Council and was always subservient to the position of his brother John. Often viewed as reckless and bitter, Humphrey was almost permanently at odds with his half-uncle Cardinal Beaufort – and his behavior may have had another explanation as we shall see later. After the annulment of his first marriage to Jacqueline of Hainult, Humphrey married Eleanor Cobham around 1430. The couple were popular and well liked, their court becoming a centre of poetry and learning. A part of Humphrey’s library was bequeathed to Oxford University and formed the basis of the Bodleian Library. When John died in 1435 it left Humphrey as heir presumptive to his childless young nephew and removed the one control on the rivalry between the duke and Cardinal Beaufort. From this point onwards the feud became ever more bitter and personal. The first point of conflict came with the decision that had to be made quickly as to the identity of John’s replacement in France. The Cardinal wanted the prestigious position for his nephew John Beaufort, son and namesake of his older brother, as he sought to use his substantial influence to promote the position of his family in Lancastrian England. Humphrey was equally determined not to allow the Beauforts such power and promoted his closest legitimate royal relative, the young and powerful Richard, Duke of York. Humphrey won the argument and York was dispatched to France but the battle was only intensified. When Parliament opened in November 1439 it was flabbergasted to hear a tirade of complaint from Duke Humphrey against his uncle Cardinal Beaufort just before Christmas. After Christmas the articles were presented in writing, nominally addressed to his nephew but clearly meant for a wide audience. Beginning by complaining about the release of Charles, Duke of Orleans, who had been taken prisoner at Agincourt and whose release Henry V had forbidden, Humphrey quickly launched into a sharp berating of his uncle’s actions over the last decade or so, not least his conflicted role as Cardinal and royal councilor. Charges rained from Humphrey’s pen but, perhaps reflecting the balance of power that was driving him to make his complaints, nothing came of his accusations and Cardinal Beaufort was not even investigated. Instead, the next strike would be made by the Cardinal’s faction. Humphrey’s wife Eleanor Cobham was arrested and tried for treasonable necromancy in 1441, accused of having engaged the well-known ‘Witch of Eye’, Margery Jourdemayne, to predict the death of Henry VI that would give her husband the throne. Eleanor claimed that she had only sought help to conceive a child but it is unlikely that any defense would have saved her. Although she escaped a death sentence Eleanor was forced to perform a public penance, divorce Humphrey and remain imprisoned for the rest of her life. She eventually died at Beaumaris Castle in 1452, still a prisoner, but the scandal of her arrest, trial and conviction forced Humphrey to retire from public life. It seemed that Cardinal Beaufort had won the war, but Humphrey remained a popular man, well loved by the general populace, viewed as a champion of their cause against a disinterested king and court party. By 1447 the English conquests in France were in the final throws of a prolonged and painful demise. Henry VI’s government, by this point headed up by William de la Pole, Duke of Suffolk, was trying to hand back vast swathes of land won by Henry V and to the preservation of which John and Humphrey had dedicated their lives. There is little doubt that the government feared a backlash from Humphrey that could gather popular support and become dangerous. On 14 December 1446 Parliament was summoned to meet at Cambridge on 10 February 1447 but on 20 January the location was suddenly changed from Cambridge, where Humphrey was popular, to Bury St Edmunds in the heart of Suffolk’s power base. This clearly suggests that at some point over the Christmas period a plot to deal with Humphrey once and for all was crystalizing. An English Chronicle recorded that Humphrey arrived after the opening of Parliament, was met outside the town and that before ‘he came fully into the town of Bury, there were sent unto him messengers commanding him on the king’s behalf’. He was ordered to go straight to his lodgings and not to try to see his nephew the king, who seems to have been convinced that his fifty-six year old childless uncle was actively plotting to seize the throne, a notion probably promoted by Suffolk and Cardinal Beaufort, who spied a final end for his longtime nemesis. Humphrey was arrested on 20 February by Viscount Beaumont, accompanied by the Duke of Buckingham, the Marquis of Somerset (Edmund Beaufort), the Earl of Salisbury and Lord Sudeley. Either that day or the following Humphrey suffered what was reported to be a devastating stroke. He lingered until 23 February when he finally died. His body was placed on public display before being buried at St Albans Abbey but rumours quickly sprang up that he had been murdered, perhaps poisoned. There is no evidence to support this and a natural cause is entirely possible, but the belief that Humphrey had been wronged lingered for years and his death was undoubtedly convenient to the government. Humphrey is often remembered as a reckless, petulant, unreliable and belligerent man who resented his lack of power compared to his brother and the Council. This reading of events is not entirely fair to my mind. At the Battle of Agincourt in 1415 Humphrey had been injured and knocked to the muddy ground. As French knights raised their weapons to finish him off an armoured figure stepped across his prone body and beat the attackers away. So close was the combat that the man defending Humphrey had a fleur de lys cut from the crown atop his helm. Humphrey’s life had been saved by his brother, King Henry V. For the rest of his life Humphrey would devotedly try to see his brother’s aims in France realised, perhaps because he owed his life to the famous warrior. Watching the floundering of English fortunes must have been painful and seeing the Beauforts attempting to use the Cardinal’s wealth to benefit themselves in a way Humphrey probably felt did not benefit England may have been behind his animosity to the Cardinal. Cardinal Henry Beaufort would appear to have won the long war with Humphrey, though his victory was short lived. He died on 11 April 1447, less than two months after Humphrey. A legend sprang up, probably originating from the Tudor antiquarian Edward Hall and embellished by Shakespeare, that Cardinal Beaufort became delirious on his deathbed and offered Death all of his treasure for a longer life, though the contemporary Croyland Chronicle records simply that he died ‘with the same business-like dignity in which for so long he had lived and ruled’. In his early seventies, he had lived under four kings and amassed huge wealth and influence, a basis from which the Beauforts would flourish further. Perhaps the real impact of the feud between Cardinal Henry Beaufort and Humphrey, Duke of Gloucester lies in what was to come after both of their deaths. The Beaufort family were set on an upward trajectory and enjoyed the favour of the king that the Cardinal’s influence had won for them. Richard, Duke of York had been promoted by Gloucester as a legitimate member of the blood royal and was widely viewed as the successor to Humphrey’s position opposing the peace party at court, meaning that whether he wished it or not he became an opponent to the Beauforts, perpetuating the feud of a previous generation. This rift would eventually widen until civil war broke out. Humphrey’s name would be closely associated with York’s cause for more than a decade after his death, his rehabilitation promoted by Cade’s Rebellion and his name finally cleared in Parliament when York held power. The House of York and the House of Beaufort appear to have been set on a collision course by the disputes between Humphrey, Duke of Gloucester and Cardinal Henry Beaufort. Henry VI’s inability to force a closure to the rifts at his court meant that the bitterly opposed factions caused a rupture in the nation that we remember as the Wars of the Roses. It is because of the course that Richard, Duke of York was set upon by these events that I found it impossible not to tell this story in order to explain his actions and the events that surrounded him. Although it is lost in the vicious war that followed, the long battle between Humphrey and Cardinal Beaufort laid the foundations for the Wars of the Roses that followed their deaths and Humphrey’s fall marked the implosion of the House of Lancaster in a manner usually believed to be the preserve of their successors in the House of York. Humphrey was a well-liked figure who was popular with the common man and retained sympathy for the House of Lancaster as the government of his nephew became increasingly unpopular and out of touch with the country. The policy of eliminating those closest to the throne thrust Richard, Duke of York to prominence as Humphrey’s natural successor, caused those who had looked to Humphrey for a lead to turn their focus from the House of Lancaster and made York, not unreasonably, frightened of meeting the same fate simply by reason of his position. Perhaps paranoia was a part of the makeup of Henry VI’s mental issues even at this early stage, perhaps the Beauforts were manipulating him to improve their own prospects or perhaps it was a little of both. Whatever the reason, it backfired on Henry and the Beauforts, dragging England into a bitter and prolonged civil war.